I’ve said that coaching is simple. All it takes at the most basic level is connecting with another person, being curious, asking questions, responding to what they say with more questions, and believing that they are creative and can find their own answers and path forward. So why do I continue to offer coach training for experienced coaches? After 100, 500 or more hours of coaching experience, shouldn’t we have mastered these simple things? It turns out that these simple things aren’t always easy. Some of them are at odds with ideas, beliefs, and skills that have made us successful in other careers. For examples, consultants find that the impulse to identify and solve problems can get in the way of their curiosity and listening. Over time, they are pulled back to this old ways of serving clients. 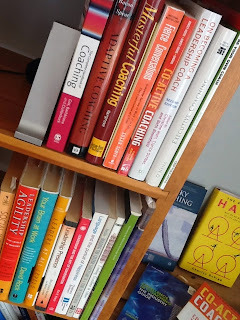 As I observe my own coaching, teach classes and work with coaches on their coaching I’m learning more about what makes coaching work and how coaches can increase their effectiveness. From all of this learning, I’ve distilled a small number of SIMPLE WAYS you can improve your coaching - things that will help you get back to the core skills, beliefs and ways of being that make coaching powerful and effective. You can find these in my new E-Book “Simple Ways to Improve Your Coaching” available free to download HERE. But like any self-help book that provides thought-provoking ideas, my “Simple Ways” can’t tell you the best way to improve your coaching. It takes more than knowing to deepen your understanding, apply it to yourself, and follow your own path forward. Students in my Coaching Master Class and my Mentor Coaching Clients are excited to discuss their coaching challenges and finding new ways to improve their own coaching. Through sharing our experiences and questions about how we can be more effective, you can create new insights into your coaching. Learn more about the my classes and mentor coaching HERE. What's in your Coaching Agreement? When we talk about Ethics, we soon find that our Ethical Foundations live in the agreements we make with our clients. Like these steps in a hiking trail, our agreements provide a path over uneven terrain and can lead us from darkness into light. Do you like to talk about Ethics? Probably not. Not many people jump at the opportunity. It sounds stale, pedantic, authoritarian and downright dull. Imagine my surprise when I noticed that students in the Ethics in Coaching and Coaching Master Classes were engaged, intrigued and surprised by what they learned. They were grateful for the opportunity to talk honestly and openly about this important topic. In these conversations, we talk about the challenges we’re facing with keeping client information confidential, recognizing and avoiding conflicts of interest, knowing when (and how) to decline or terminate a coaching engagement, and what information we can keep and what we should delete. It soon becomes clear that there is some guidance in the code on these topics but the real guidance comes from the agreements we make with our clients. Agreements set the foundation for a strong coaching engagement. They support our ability to act ethically when challenges come up. But taken to extremes, they can feel out of sync with the coaching relationship we want to create. These class conversations prompted me to think more deeply about the role our agreements play in the coaching relationship. I’ve seen (and used) agreements that are on two ends of a spectrum. On one end is the “not-in-writing” agreement. This could be a verbal agreement that isn’t written down. It also happens when coach and client don’t think they need an agreement (perhaps they’ve worked together before or know each other well) and don’t even discuss an agreement before starting the coaching. On the other end of the spectrum is the multi-page, many-clauses-to-cover-all-possible-contingencies, carefully crafted in legal language to cover the coach’s tokus. It feels like bringing a prenup on a first date! Neither seems right to me. Coaching is a business relationship and warrants explicit agreements about boundaries, expectations, and the rights and responsibilities on both sides. The “no agreement” option doesn’t honor the professional nature of coaching. The coaching relationship also requires trust, mutuality, co-creation and holding the client’s interests at heart. It often involves more people and stakeholders beyond the coach and client, who also need be a part of that trusting relationship. The long, legal agreement doesn’t feel aligned with these qualities of the relationship. Given that, my next question was “What is the ‘just right’ agreement?” Of course, the answer is – it depends! It depends on the existing relationship, the context for the coaching engagement (for example, is this coaching as part of a training program, or individual coaching towards specific development goals), and other factors (such as who else is a stakeholder in the engagement) that might impact what you include or what you exclude from your agreement. First, it documents the business relationship including the services the coach provides and the container in which those services will be provided, such as time frame, payments, meeting logistics, client goals, coach’s methods, etc. Second, it sets a foundation for a trusting relationship, including clarifying what the coach and client expect of each other, what will happen if something goes awry, and how the coach will keep the client’s interests at the heart of the coaching. The coaching sponsor is a friend and colleague of mine, so I was careful to cover with client and sponsor how I would interact with the sponsor during and after the coaching engagement. The client and I were planning to meet in a public place, so I added language that said I wouldn’t share information about the client, but I could not promise confidentiality and privacy because others could see us together and overhear our conversations. I was coaching someone who was looking for a job in one of my professional communities. We had a very specific conversation to assure the client that no one in that community would hear anything about our coaching. Because I teach and write about coaching, my agreement covers how and when I share stories based on our coaching conversations. My agreement with students in my classes clarifies what information I keep and what information I destroy once the class is over. I’m curious. Does this “framework” for coaching agreements resonate with you? Are there other things that you consider when you’re crafting and customizing agreements for your coaching engagements? Most coaches I talk with are stymied by what I’ll call “chatty clients”. These are the clients who give long answers with lots of detail, dominate the conversation, don’t breath between sentences, ramble all over the place, and don’t stay focused on the topic at hand. If you let them, they will talk for the whole coaching session. Be provocative. Break the pattern. I first ran into this type of client when I was still in my coach training. Like many of you, I had to submit recordings for evaluation and feedback. We were graded on a scale of 1 to 10 (low to high) based on our demonstration of coaching skills and use of the tools we were taught. I was mortified to receive a score of “1” on my first recording! And, to be fair, my evaluator was being generous. You see, I had submitted a 30-minute recording in which the client did all of the talking. Yes, really! OK, maybe I said “Hello” and “Same time next week?” but other than that the client talked, non-stop, for the whole session. I knew I was struggling with this client. I couldn’t t get a word in edge-wise, wasn’t sure how to interrupt, when to interrupt, or what to do if I did interrupt. I felt completely helpless and didn’t know how to change this dynamic. With more experience and the gift of listening to other coaches doing their work, I’ve noticed some patterns. While it would be fun to consider how we can change the client to be less verbose, I’m more interested in the coach. What is the coach doing that allows or encourages the client to speak in excess? What could the coach do differently to create balance in the conversation between coach and client? 1. Ambiguous questions: While I love a question that is not only open but wide open (like What are you noticing? or What’s important to you today? ), these types of questions are also ambiguous. If you ask me what I’m noticing, I can share all kinds of things that I’m noticing - my thoughts about… well, just about anything, my emotions, my physical body, what I see you doing, the temperature of the room, the fact that the story I just told reminded me of another thing that is frustrating, etc. If I’m a chatty client, I could start down one of these paths and it could be awhile before you can get me to focus again. Try this instead: Ask more pointed and specific questions that create boundaries around what you are asking the client to talk about. For example “What are you noticing about the emotions you feel right now?” or “Given the goals you have for the coaching, what challenge are you facing this week that you’d like to focus on?” or “Would you like to start the session by sharing your successes for 5 minutes before we start coaching?” Yes, these are more directive than the wide open questions. But, my guess is, the chatty client could use a little direction! 2. Restating what you hear the client say: Restating and reframing are great coaching tools. The client hears themselves in a new way when their coach repeats their words. However, I’ve noticed that chatty clients use these as a jumping off point to continue talking. After the coach interrupts and say “What I heard you say is….” the client immediately responds with “That’s right and…” continues the story. I know these types of moves are hard to make, especially if you and your client have an established pattern of 'client gets to talk while coach gets to listen'. So first, listen to your coaching to see what is happening. If your hear ambiguous questions or restating that invites the client to talk more, take a risk and try something new. Be provocative. Break the pattern. I have confidence that you’ll know what to do; I’ll be curious to hear how your client reacts. Don't miss this incredible opportunity!!! The magic of coaching begins with the relationship we create with our client.. Strong mutual trust and trust in the coaching process create asafe space for clients to honestly share their hopes and dreams, fears and frustrations.. When we accept the client as they are every time we meet, and treat them as a partner, the opportunity opens to work together to create the results the client desires. This workshop is your opportunity to learn about the core strengths that create this magical relationship. Learn about the three types of trust - coach trusting the client, client trusting the coach, coach and client trusting the coaching process. Learn how creating trust and intimacy and coaching presence support the rest of the coaching competencies. This workshop is an invitation to reflect on the quality of the relationships you have with your clients, and learn from Sue’s experience and the wisdom of other coaches how you can strengthen this core of your coaching. What differentiates coaching from other disciplines? The answer lies, in part, in how coaches use the skills of Active Listening, PowerfulQuestioning, and Direct Communication. The practice of these skills in coaching is different than consulting, teaching, counseling, and our everyday interactions with friends and colleagues. Supported by the foundation of a trusting relationship, we listen intently to the client, we ask questions that expand their thinking into new perspectives and possibilities, and we share our observations and experiences as input to their process, not as the answer tothe problems. This workshop is your opportunity to deepen your understanding of how to apply these coaching skills and take an honest look at your own listening, questioning and communicating. We’ll explore how these skills are supported by the trusting relationship we have with the client and serve the client’s work to create the life they desire. Through sharing and discussion ofthe challenges we face, we’ll find pathways to return your coaching to these fundamental coaching skills. It’s easy to stray from the purpose of coaching after you and the client have spent some time together. When coaching sessions become opportunities for clients to share what’s happened in the last week, complain at length about the status quo or explain how other people are causing their problems, you’ve likely drifted away from the coaching competencies that define why client’s hire us and what’s necessary for them to make progress towards their goals. This workshop is your opportunity to revisit the “purpose” in the “purposeful conversations” we promise our clients. These core strengths include defining the agenda, intentions or goals of the coaching engagement ande ach conversation, searching for the new awareness that opens new options, and defining the action steps and success factors for the client to make changes in their life. We’ll explore how these competencies set the framework for all o fthe coaching competencies to work together to support the client to create the life they desire. In the back of my mind there’s a constant stream of worries. big and small - about family members, business, and clients. I worry about what’s on my to-do list, what I’ve forgotten to put on my to-do list, and how I’m going to everything done. My worries are small (what to make for dinner) and large (how my favorite team will fare in the big game) and global (what’s going on with the global economy). My moment of acute self-awareness about the degree of my worrying was when I noticed that I was worried that I wasn’t worried enough. Doesn’t that sound a little over the top? I’m not the only coach who worries. I’ve heard from many of you “If the coaching police could hear my coaching, I’d be arrested!”. Although a bit overstated, this captures an underlying worry that we’ve strayed from “pure coaching” (or coaching the way we were taught or the way we think ICF expects us to) and wandered into the territory of advice-giving, letting the client talk too much, or other perceived “sins” of coaching. Worrying about things beyond my control wastes energy. While I can don my lucky hat for the big game, there’s not much I can really do to help my team win. For things that are within my control, I’ve learned to sit with the worry and consider if there is some truth lurking underneath. Maybe there is something I am being called to do. When I’m worried about a family member, I can (at a minimum) reach out to them and make a connection. When I’m worried about my do-to list, I can spend thoughtful time clarifying and prioritizing. And when I’m worried about what’s going on in my community, it’s time to take action. When you are worried about your coaching, what is calling for your attention? How will you know what needs to be addressed? Students in my Coaching Master Class bring their worries and find clarity from our work with the competency model. One student was concerned that she didn’t know how to use Direct Communication. As we explored that competency, she discovered that she was using Direct Communication effectively - she just didn’t know it. She could put that worry aside. Other students find things they aren’t doing as well as they could. They discover they really are doing more telling than asking, or they skip the agreement setting or forget to nail down actions. Through our conversations, they turn that worry into a learning intention. By the end of the class, they have new coaching moves and feel more skilled and confident. What are your worries about your coaching? Move from worry to clarity by looking more closely at your competencies and find where you can let go of the worry, or shift into learning. The Coaching Master Class is designed facilitate this type of reflection, with the added bonus of being with experienced coaches as partners for your learning. I bring my experience as a coach, trainer, and assessor to keep us aligned to the coaching competencies. Are you ready to transform your worries into better coaching skills and more confidence? Join the Coaching Master Class starting on March 12. 18 Core Competency, CEU, including 3 hours of Ethics. Save $150 by registering before March 2. With gratitude for the student and client who teach me so much! When you have the good fortune to create that silence, take a deep breath, stay connected to your client, and wait. What’s happening in the silence is more valuable than anything you can say. What do you do with your coaching client files and records? In my Ethics in Coaching Class we carefully read the ICF Code of Ethics and ask ourselves if our current practices are aligned with the provisions of the Code. Each of us finds some way we can do better and we commit to learn more and make specific changes. My assignment was to get serious about managing client information and deleting files when appropriate. On first reading it seems simple and clear, but when you start asking “How would I implement this?”, the ambiguities appear. What do I really need to do to “promote confidentiality, security, and privacy?” and which “laws and agreements apply?” are just the first two questions I asked. My goal was to create routines that addressed client and student records within a reasonable time after coaching engagement or class is done. This seemed like an easy assignment, but I ran into the some challenges - I found it was a little more complex that I thought and I stumbled into more than one a“rabbit hole”. First things first - Where are my client documents? Client documents and information are stored in many more places than I anticipated!. It’s in tax returns; my bookkeeping software; and my PayPal account. It’s in calendar entries; contact lists; and emails with their attachments. It’s in electronic files and folders, and on paper. Client data is stored on my hard drive, on my mobile devices, in the “cloud”, on my desk and in notebooks. With laptop, iPad, IPhone, and cloud apps that sync with each other, data start in one place, then get copied in two, three or more additional places. I was overwhelmed by the idea that I needed to protect and keep “confidential and private” all of this data that is stored in so many places! With all of that data floating around, what (really) needs to be protected? 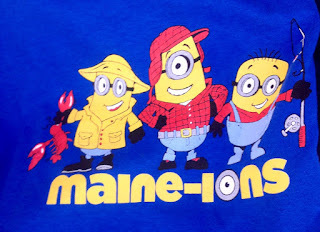 I decided that the IRS and Maine Department of Revenue are the only entities really interested in who I do business with, how much I’m paid, when and for how long I talk with clients, or what their phone numbers/email addresses/Skype addresses are. I just don’t think there’s any danger in this information becoming public for the people I work with. Password protection should be enough. It is important to protect and dispose of information about the content of my work with clients and students. This includes client coaching goals; interviews and notes from bosses, peers and direct reports; coaching session prep sheets; homework assignment reports; coaching recordings, transcripts and assessment reports; and my notes about any of this content. Now that I know what to delete, I need to know how! This turned out to be the hardest part of this assignment. Deleting electronic files isn’t simple (or easy) because of multiple syncing devises, cloud-based applications, and disorganized filing systems. It took me a week of exploring to feel like I fully understood where files are stored and how they can be deleted in the systems I use. For example a file that I receive as an email attachment is stored on the mail server, in the mail folder on my computer, phone and tablet, and in system files that are hidden from my view, and then I copy it to a client folder. Tracking down all of these copies and learning the steps needed to really delete was, to say the least, a chore. After a couple of weeks of exploring and learning and thinking, here’s what I plan to do. #1: I will be rigorous about deleting client, student and assessment files related to the content of our work within 30 days of the work being completed. I have an item on my ToDo list every 2 weeks to handle this task. I will delete files from ALL places that I know they can be hiding out on ALL devices and sites. #2: I will revise my agreements to Include language that says I will hold our work in confidence but “doing business with” information will not be protected beyond passwords on devices and websites. Sounds simple, but it won’t always be easy! With the technical details figured out, I started deleting - and ran into another obstacle. My aversion to throwing things away reared it’s ugly head as soon as I started moving files into the Trash. Luckily, I quickly noticed that this response was the same as my response to getting rid of a pair of shoes that no longer fit. While my fear says these things are irreplaceable and I will suffer harm without them, my logical brain knows that they can be replaced, that most of the time they don’t need to be replaced, and that no deaths or injuries will occur if I no longer have them. I can just let them go. I’m sitting on my deck enjoying the flowers (ignoring the weeds), listening to the ocean waves crash against the rocky shore (no sandy beaches here), and hoping that the wind doesn’t change direction and bring the odor of the decomposing whale that washed up on a nearby island into my idyllic morning. Summer in Maine is lovely, but far from perfect. And neither is our coaching. We all have some rocky areas, weeds among the masterful coaching moves, and a few bad habits lurking close by that could stink things up a little. If you have questions about where your coaching might be less than ideal, or want to talk about those bad habits that you're no longer willing to ignore, I invite you to join the Coaching Master Class. I’ve been so pleased at how experienced coaches who join the Master Class love returning to a safe learning community. We share rich conversations about our coaching, and learn from our collective experiences. Within the framework of coaching competencies, even experienced coaches have new insights into how they can serve their clients better. I have a deep belief in both the power of sticking to and reinforcing the basic moves of coaching and being in community with fellow coaches. If this appeals to you, I hope you will consider signing up. P.S. Students who register early will save $150 on their Master Class investment. (Sweet, right?!) Since I save time in planning the sooner I have my class roster set, I like to pass those savings along to my students. Credential PSA: Procrastinators, take note! If 2018 is your year to renew your ICF credential or you’re making the move from ACC to PCC, it’s not too early to be planning how you will meet the credential requirements! And, if you wait until fall, it might be too late! Over the years I’ve helped many coaches navigate this and have had my own last-minute scrambles to pull together my application, searching through ICF’s website to figure out what’s required, being surprised by new requirements, and spending hours pulling together the documentation. I get a little nervous just thinking about it! PLAN AHEAD - Visit the ICF individual credential web pages and get familiar with the requirements for your situation. Bookmark the appropriate pages, then make a plan for putting together what you need for your application. BE MINDFUL OF CHANGES - There is one thing we can always count on: Things are changing! This is great when it comes to continued growth and learning, but I understand that it can be frustrating when it comes to getting your credential application done. Some of the newer requirements can’t be done at the last minute! Renewing your ACC? You’ll need 10 hours of mentor coaching with someone who holds an ACC, PCC or MCC credential, to be held over at least 3 months. Renewing your ACC, PCC or MCC? The ICF now requires three hours of Ethics Training. New credential level? You will need to be able to pass the Coach Knowledge Assessment (CKA). Get ready by reviewing the Code of Ethics and the Core Coaching Competencies. Leave time to study these before you have to take the test. You do get a second chance, but you have to pay for it. Who wants that?! BE YOUR BEST SELF: This process often takes longer than people expect and there will be many things on your to-do list, which aren’t always fun or interesting! You know yourself and how you get things done. Are you a checklist follower? Do you need an accountability partner? Or would a group approach make this more fun and engaging? Create what you need to make this process work for you. LEARN FROM THE EXPERIENCE! What are you noticing about this process? Which parts are harder or more annoying that they should be? I found it hard to document my CEUs when I had to search through my calendar and emails to find the information about the classes I took, so I’ve created a tracking and filing system that makes that part of the process extra easy. Learn from this year’s process, and take the time now to create the support structures you need to make your next application easier. Our credential says a lot about who we are as coaches. Don’t let the credential process get in your way! This is a “public service” message based on lessons learned from the coaches who have gone before you are in the credential application and renewal process. I’m happy to talk with you individually if you have questions. Sign up for my monthly newsletter HERE for pithy, sometimes irreverent, and always relevant musings on our coaching profession. In coaching, we talk and listen. We interrupt sometimes and stay silent at other times. How do we know when we’ve got the balance right, when we’re not letting the client talk too much, not interrupting at the wrong times, and when we aren’t taking up too much airtime ourselves? The basic elements of any conversation - listening, speaking, interrupting, and staying silent. We use them all in coaching and each one isn’t hard to do. The art is knowing when. When to listen and then listen some more? When to interrupt and insert something into the conversation? And what should you insert, a question or observation and how short or long should that take? When to allow for complete silence when neither you nor the client is speaking? I wish there were some simple answers to this. I wish I could say that the coach should speak 25% of the time, or that the coach should always interrupt when the client has been talking for more than a minute. But, of course, coaching conversations are complex and unpredictable. More improv than script. I think it’s helpful to go back to the basics and reground ourselves in the purpose of the coaching conversation and the role of the coach and client. The purpose of the coaching conversation is for the client to make progress on the agenda they bring to the table, by creating new awareness or learning that allows them to move beyond their current thinking, and then commit to actions that will continue to move them forward after the coaching session is complete. This is done in the context of moving them towards the larger goals they set for themselves when they agreed to a coaching relationship. The art of coaching is to partner with your client to create what she needs to make the progress she want to make. The role of the client is to be very self-centered, to be thinking about herself, talking about herself, remembering her past, and imagining the future. The role of the coach is to be present and respond to the client while create the pathways to help the client to explore beyond their current thinking. The coach is keeping the discussion on track, and following the structure of “beginning, middle and end” of the coaching conversation. The coach also weaves together the current agenda with the client’s larger goals. There’s no formula or algorithm that can describe what this sounds like. It’s improv, remember. When the client has gotten off track. She said she wanted to talk about her boss, now she’s talking about a colleague. Interrupt to negotiate which path she wants to be on. This is a quick trip back to Establishing the Coaching Agreement! When you’ve heard the story before or she’s completed a cycle of logic that has her right where she started from. This is also a good time to interrupt and engage because your job is to help her find some new ways of thinking, not allow her to retrace the old paths. When the client takes off talking before you’ve had a chance to set the agenda. Interrupt to create the structure that makes coaching a purposeful conversation - what’s the topic? what do you want from our conversation today? what’s important about that? what do you need to work on to make progress? where shall we begin? When you’ve asked a question and the client doesn’t answer right away. Don’t assume they didn’t understand and jump in to correct yourself. They’ll let you know if they’re confused. Silence usually means they are thinking, that they didn’t know the answer! This is a good thing. Give them as much silent time as they need to come up with an answer. When you think of a great idea, that comes from your own experience, that you think the client “must know” or you believe will rock their world, and your tempted to share. Keep it to yourself for a little while. Reconnect with where your client is now, because being captured by your great idea has certainly taken you away from the present and your connection to the client. Ask another question or two. If your idea still has legs, share it with the client in no more than 2 sentences. Then ask them what they think about what you shared. Was it helpful? How can they use it to move them forward? The best way to know how well you’re navigating a coaching conversation is to listen. Yes, that means to record a coaching conversation and listen. What should you listen for? Great question. I’ll talk about that in my next post. Has someone asked you to break your confidentiality agreement with a client asking for information about what’s going on in a coaching relationship? These situations are probably more common than we think. I’ve heard variations on this story when friends, peers, supervisors, HR staff, and other coaches ask for and expect the coach to share information about the client or the topics being discussed. It might be a casual “How’s that coaching going?” or a more formal invitation to provide insight like “Do you think the client is ready for that promotion?”. These requests are challenging because they create conflicts between the interests of the stakeholders in the coaching engagement. They can violate promises, expectations or agreements. And they put the coach in an uncomfortable position of not knowing what’s the right move to make. Ready to talk about Ethics in a community of peers? Join my Ethics in Coach class starting on November 27. Learn more HERE. 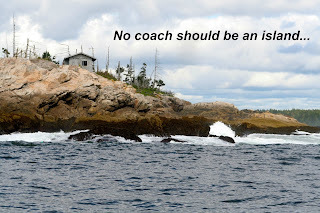 Ethics in coaching is a topic that touches close to home for me. Making choices when there is a conflict between self-interest and “the right thing” has been a life-long challenge. From the petty shoplifting of a candy bar as a small child to falling in love with a client, my personal history is littered with examples where I had to make these tough choices. Many times I chose “right”, some times I did not. As I’ve delved into Ethics in Coaching, I’ve come to appreciate it’s complexities and nuances. We make many decisions each day that are easily in line with our personal morals and professional ethics. It’s the challenging situations that trip us up. My experience has taught me that coaches need to learn about, prepare for, and practice their responses to challenging ethical situations. It is also crucial to have a support system to help evaluate these challenging situations and make well-reasoned decisions about how to act. Behaving ethically seems easy - in theory. In theory, you dispassionately weigh the pros and cons, play out the possible scenarios and consequences, research what others have said and did, have rational conversations with the parties involved, and come to a well-reasoned and defensible decision on how to proceed. But, let’s be honest, we’re never this logical, even for the easy decisions we make! By their nature, situations that challenge us to act “ethically” are confusing, conflict-ridden, ambiguous, and risky. They can ask us to break promises or contractual agreements, or involve illegal and immoral behavior that can be embarrassing and shameful. The conflicts can attack the things we hold dear, like our reputation, important relationships, and self-image. They can put our livelihood at risk. They may hinge on something we did or said (or didn’t do or say) in the past that we wish we could erase but can’t. They can happen when we’re experiencing other pressures – like difficulties with our finances -- that make it harder to be impartial, objective, and rational. In short, we’re dealing with situations that can hijack our rational thinking causing us to retreat into hiding, avoidance, rationalization and magical thinking. Without our rational minds to guide us, the “right thing to do” might seem unnecessary, at one extreme, or downright dangerous, at the other. There are many temptations in the coaching profession. We spend our time alone with clients in serious and personal conversations, in a trusting and intimate relationship. We work under an agreement of confidentiality, with little oversight or need to report to others. We are paid based on time spent with clients, and often get new business based on referrals and the “good word” of people we work with. We are often self-employed, with no “internal” support structure. Personally, I was not prepared for the stresses of being self-employed with a young family in a new profession without a strong support group. I’m curious how prepared you feel for the life you lead as a coach. I have no easy answer to questions that start with “how should I handle (insert your favorite ethical challenge)?”, because the answer depends on so many things. If you need immediate help, talk with someone you trust about the specifics. But now that I’ve got your attention, take this opportunity to be reflective and thoughtful about how to prepare for the future situations that will surely happen. Although you can’t predict what they will be, you can bolster your foundations to make tough choices. Find the ICF Code of Ethics and Professional Standards and read it through. Review the agreements you make with your clients and the contracts you sign with sponsors. Reflect on the challenges you’ve faced in the past, and the stories you’ve heard from your colleagues. Think about how you can be prepared and how you will respond to the common ethical challenges. This is also an opportunity for self-reflection. What makes you vulnerable to being knocked off your ethical center? What are the triggers that take you out of your rational mind and how do they get activated? How can you prevent these and what support system do you need around you to keep you true to your ethics? You have to DO Ethics, not just HAVE Ethics. Doing Ethics means making choices when there is no “right” and you might hurt yourself in the process. It’s harder than you think. Two “out-of-the-box” references for exploring the complexity and nuances of Ethics. In understanding how to handle ethical challenges, I think it’s important to understand human nature and motivations that drive our behavior. This means delving into the shadows where breaking rules, hiding information, taking risks, and doing damage seems to make sense. Predictably Irrational: The Hidden Forces That Shape Our Decisions by Dan Ariely, especially Chapters 6 “The Influence of Arousal” and 13 “The Context of Our Character, Part 1: Why We Are Dishonest and What We Can Do About It”. Revised and expanded edition published in 2009 by HarperCollins, New York. This book has some eye-opening experiments and results that remind us that our rational brain is not always in charge, especially when there are opportunities to be dishonest or take advantage of others. Spreier, Scott, Mary Fontaine, and Ruth Malloy. 2006. “Leadership run amok: The destructive potential of overachievers”. Harvard Business Review 84, no. 6:72. This great article that explores how a motive for achievement, when overplayed in an environment without constraints, can be destructive to businesses and the people working in them. Hey Coach, Where are you taking that client? “Questions are the currency of coaching“ and asking questions is a fundamental skill of a coach. Our coaching artistry is expressed in the questions we ask, the questions we don’t ask. It is colored by how we ask and when we ask. It is shaped by the intention we bring to our questions and how we hold the responses our questions bring forth. When I was learning to coach, questions seemed awkward and unnatural. Now, when I’m coaching, the questions come easily and flow out of me, coming from the connection with my client. I ask questions that I don’t know the answer to and sit calmly, waiting to hear the response. Each question causes my client to pause, ponder, and discover something new. I am tuned in to her; questions arise from within me and, somehow, each is the perfect question to ask next. The session flies by, we are in perfect sync, new insights popping up at every turn. By the end of the session, my questions have caused profound transformation and my client is delighted. WAIT!!!! Oops - I’ve obviously wandered off into Coach Fantasy Land. Sorry about that! s going on inside my head and my own emotions. It’s like meditation. The problem-solving and leading questions are in my stream of consciousness, but I let them float by without sharing them with my client. By doing this, I stay in the flow of the conversation, making choices of where to allow the client to continue on her path and when to disrupt and shake things up. The questions that disrupt the coaching flow are leading questions. When the coach asks a leading question, there’s a change in direction, a change in what the client thinks about. You can feel the energy shift. Because leading questions can have a big impact on the coaching conversation, they are important to understand. What is a Leading Question? These are simple examples and my assessment is that the coach is asking these questions as a disguise for advice she wants to give. I call these “faux questions” or “advice in the form of a question”. The leading questions you ask might be a little more nuanced or cleverly worded. I invite you to reflect. Do you know what your leading questions sound like? Are you aware of the trigger that moves you to want to lead the client? Isn’t Every Question a Leading Question? When you get right down to it, all questions lead the client’s thinking in a particular direction. All questions are leading, to some extent. The wonderful, open question “What do you want?” is asking the client to focus on the future, on themselves, on their desire - rather than on the past or present, on other people or the situation, or on what they don’t want or the story they are making up about the situation. “What are you noticing?” suggests they focus on their noticing, rather than somewhere else. Think about all of your favorite coaching questions. Might they be considered “leading” in some way? The level of disruption our questions cause is related to the timing and our intention in asking the question. When you ask a disruptive or leading (but not a “faux”) question, consider the following: For what purpose are you leading the client in that direction? Is it aligned with the objective they set for the coaching session? Is it aligned with the larger coaching intention of creating awareness that supports the client’s development? Are you leading them where they need to go? Are you taking the next step on the path, even if steering them to the right? If you are in the flow, the question won’t feel “leading”. If, on the other hand, the question abruptly change the direction of the conversation or is not in the flow, it will feel disruptive and leading. For example, if the client is revealing that what’s stopping them is a fear of betrayal and appearing weak, and your next question is “What do you think your boss wants from the meeting?”, your question is disrupting the flow. Sometimes, this disruption is just what’s needed in the conversation. Sometimes, it’s not. What are you choosing for the client when you ask a leading question that disrupts the flow of the conversation? You know I’m a big fan of the coaching competencies. I also know that there are 12 of them and many more PCC competency markers and it’s hard to keep them all in your head when you’re in a coaching conversation. Any of these moves, when done in service to client and what they want from the coaching conversation, keep you firmly in the coach role. My friend and coaching buddy, Heidi Bellamente, and I have been working on our habits - We’re creating new ones, breaking old ones, and appreciating the ingrained habits that keeping us alive and on track. And we’ve learned a lot along the way. Why focus on habits and what do they have to do with coaching? My experiment in creating a new habit was my desire to be healthier and physically stronger. The beginning was simply saying “I need to start exercising!”. Simple to say, yes, but not easy to manifest. In fact, it turned out to be pretty complex. How does that simple statement transform into a gym membership, four completed 5Ks and a 5-mile trail race, a backpack filled with the right clothes and shoes, a personal trainer, a running app on my phone, and exercise being a part of my life, everyday? By intentionally creating a new habit, I learned my own success formula. Working with Heidi, I learned that she’s not the same as me, and has her own unique ways of creating habits. When our clients say “I need to…”, that is just the beginning of the journey. Sustained change, for individuals and groups, is more effective when the new behaviors become a habit. And we all have a unique success formula for creating habits. So, what’s the coach’s role? Here a hint - a couple of the PCC markers for the Designing Actions, Planning and Goal Setting, and Managing Progress and Accountability (D-P-M) competencies. Coach assists the client to design what actions/thinking client will do after the session in order for the client to continue moving toward the client’s desired outcomes. This seems simple enough on the face of it. But what if you knew that your client needed to put that action into the context of a big vision in order to be motivated? Or, that your client gets freaked out by the big vision, and prefers to just map out a few next steps? Would your approach change if you knew that your client will do this new because you’re expecting them to, or might rebel unless it’s completely their own idea? Coach invites or allows client to consider her/his path forward, including, as appropriate, support mechanisms, resources and potential barriers. Hmm, this is a little more detailed than I would usually get. What, pray tell, needs to be considered in the “path forward”? Think of all the things that get in the way of your good intentions. If you’re like me, it can be a long list! How will your client face and conquer what will get in their way? Again, it’s personal. Do they need to schedule it, be reminded, get the right equipment, track and measure progress, get feedback, find a community of support, expect resistance and plan a way through it, or something else? Coach assists the client to design the best methods of accountability for her/himself. Ahh yes, accountability. When I was a beginner coach, my coaching move was to ask the client if I could hold them accountable. It runs out, that wasn’t a good idea. I have trouble being accountable for my own stuff, never mind my client’s stuff, too! So, the better move is to know what kind of accountability works best for them. Do they like to keep things private, share with only trusted individuals, create a group and get hurrahs when they succeed? And what happens when they get stuck? Will they hide or boldly declare a breakdown? Who, or what, will call them back to their commitment? So you see, there’s lots to talk about with clients after they say “I need to…”. Short-term, easy to accomplish goals (Run a 5K every month). Accountability to my husband, my running partner and to Heidi. An expert to tell me exactly what I should do and when, so I don’t have to think about it. Tracking what I do and when with an easy to use phone app. I’m curious if any of these strategies would work for you? And what have you noticed about what works for your clients? Do you have an Ethics Lifeline? 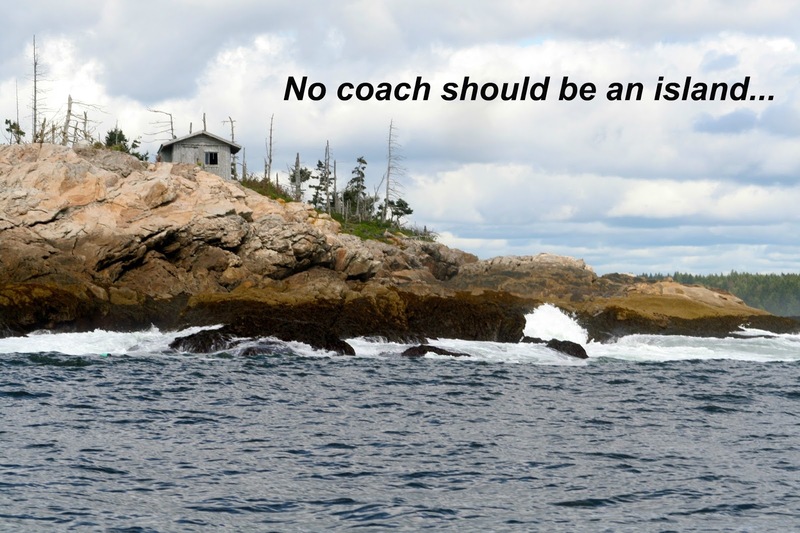 Who do you reach out to when the waters get a little rough in your one-on-one with coaching clients? I received a call from a former student and colleague the other day. She was facing a challenge with a coaching client and needed help thinking through how to handle it. The challenge had to do with Ethics - which is not unusual when I receive these types of calls. I think she had a pretty good idea of what needed to be done, but it wasn’t straightforward and she felt that there were risks in all directions. It was ambiguous (maybe something was amiss, or maybe not), it involved her client and others in the organization, and the worst-case scenario was serious enough that ignoring it wasn’t an option. It was helpful for her to talk it through, and she came away with a plan and the conviction that taking action was the right thing to do. In my Coaching Master Class, we talk about Ethics first, and spend more time on it than the other competencies. In my initial class design, I put Ethics at the beginning because I thought it was a topic that we would discuss without much pre-work, as a way to “warm up” before hitting our stride with real coaching topics. After 10 cohorts, I now see that putting Ethics first was a great decision - it is a real coaching topic. In listening to the ethical situations the students bring to the class, I see that Ethics is an undercurrent in our relationships with our clients and their sponsoring organizations. They can arise right at the beginning or at any time during the engagement. They impact the services we offer and how we build our businesses, especially if we offer more than coaching. Whenever they come up, they can knock us off center and disrupt the coaching engagement. Talking about Ethics proactively – that is, before we need to make some of those difficult choices - is important. Many of the Coaching Master Class students have been grateful for that opportunity and have made specific changes to their coaching agreements and initial conversations with clients and sponsors. They are ready to handle some common ethical challenges before they become a problem. Through the conversations, students also realize the value of getting different perspectives and hearing the experiences of their peers. We talk about having a “lifeline” - someone to call to help when you're facing a challenge. Your lifeline won’t have the answer, but will listen, ask questions, notice emotions that might be getting in your way, challenge your assumptions, and refer you back to the Code of Ethics and your coaching agreements for guidance. Your lifeline is a coach, really, to help you do what needs to be done to stay aligned with your ethical code. The coach who called me had been through those conversations in the Coaching Master Class and had done some research on ethics in coaching relationships. She had the advantage of that proactive thinking, and had the phone number of her lifeline ready. From teaching the Coaching Master Class, I’ve learned that it’s important that we stop and talk about Ethics periodically, to check in on the ethical challenges that are cropping up in your real-world experiences. The conversations remind us of what’s expected when we face these challenges, and prepare us for when they do occur. Who is your Ethics Lifeline? What will you Start, Stop and Continue to Become a Better Coach? Awareness - that window into what’s working and what’s not - is the foundation for change. The coaching profession values learning. In fact, coaching is all about learning. Our clients learn about themselves and howthey relate to the world. They learn new approaches to their challenges, either through new attitudes or behaviors. They learn to be more aware of the world around them and what’s happening inside of them. It makes sense that coaches should be continuing their own learning, increasing their awareness and learning new approaches to their coaching and their relationships with clients. I think it’s useful to use this model when thinking about your own learning and how to improve your coaching. What do you know about your coaching that is working well? How can you CONTINUE to do these things with confidence? What do you know about your coaching that is just not working – for you or the client? How can you STOP doing those things in the future? And where do you feel you have deficiencies? It could be things that you know you should be doing, but aren’t. Or you’re facing situations or clients that you’re not sure how to handle, and need new skills or approaches to feel more capable. What do you need to START to handle these better? Before you answer these questions, take a minute to reflect. Do you know enough about your coaching to make good decisions about what to START/STOP/CONTINUE? From my experience, it’s hard for coaches, on their own, to objectively view their own coaching. They have questions rather than clarity about whether what they are doing is working. So they are unsure whether to STOP or CONTINUE. Their clients are happy and telling them the coaching is great, and they don’t have another way to tell is something is missing. It’s hard to START something to fill a gap when they’re not even aware of the gap. Awareness, that window into what’s working and what’s not, is the foundation for change. Equally important is a model of coaching that sets a standard of what’s effective. Looking at your coaching (with an learners eye) against a model (that you believe in), you can start to understand what you can Start/Stop/Continue to become a better coach. It’s further complicated when you consider that how well you coach depends on what you do and how you “be” while you’re coaching. Your technique might be fine, but your “being” might affect your ability to listen to and hear your client’s emotions or energy. Or you might have a connected and supportive way of “being”, but forget to challenging your client, or holding them accountable. When was the last time you honestly reflected on your coaching against what you were taught? When was the last time you recorded a coaching session and listened carefully to see if you are using all of the coaching competencies? When was the last time someone you respected as an experienced coach listened to your coaching and gave you feedback? Isn’t it time you made a serious commitment to START/STOP/CONTINUE for the sake of you coaching and your clients? What do you notice about your questions? "Care is asking the right questions." See what they mean in this What? How? (Whirlpool Washer/Dryer commercial). It’s a simple question, really. We ask the students in the Georgetown Leadership Coaching Program to observe their questions and reflect on what they notice. Hundreds of student coaches have written this paper over the years. I read through another batch just this morning, and was – again – delighted and inspired by what the students learn. We assign this paper because it’s important for coaches to be aware of the questions they ask, the questions they avoid, and how the context impacts their questioning. This awareness is a foundation for moving into being thoughtful and artful in using questions in coaching conversations. But the real learning is much deeper, varied, nuanced, and personal. This learning often comes as a surprise. The student becomes aware that how he/she asks questions is a reflection of how he/she sees the world and his/her place in it. And the “world” is their relationships, their role in workplace power dynamics, or their own master self-assessments, fundamental fears, deep passions. Their patterns of asking questions grow out of a lifetime of past experiences, culture and family relationships, and years of professional training. To move into coaching is to leave behind one view of the world and embody another, in which you are someone who loves questions; who is confident asking questions that feel too probing and too personal; who can draw out deeper insight and meaning with just a question. What are you noticing about your questions? How Does a Coach Listen? “Active Listening” is a familiar term. In general, it describes listening that requires effort by the listener to be attentive, use body language to communicate that attentiveness, and restate or summarize what is heard and understood. This type of listening is important for coaches. But is being actively attentive enough to help our clients find new perspective and awareness, to break out of their current reality to see future possibilities? What does active listening mean for coaches? To me, a coach listens beyond and around what the client is sharing, tuning into patterns of thought; topics skipped over or avoided; shifts in emotions, tone or energy; charged words, phrases or metaphors; incongruities between words, emotions, and body. The coach also listens to her own experience of the client, noticing her own shifts in energy, focus, and the curious questions that bubble up inside her. Listening in this way allows us to find paths to explore that the client may not have seen on their own. Our listening creates the space for our client to talk, reflect, and explore. It impacts the quality of our questions and observations. It sets the direction we use to guide the coaching conversation. What is your understanding of “Active Listening” for coaches? If you were observing a coach, how would you know the quality of their listening? How do you know if you are listening at your best?